Whether by plane, train, automobile or motorcycle taxi, we all have to get around. Transportation is a huge part of daily life, and it’s important to keep safe while you get where you’re going. But transportation can be dangerous. The World Health Organization estimates that approximately 1.35 million people die each year as a result of road traffic crashes. A large portion of these accidents happen in the global South. We wanted to do something to help prevent this kind of danger. So today, we linked up with a group working to make travel safer in Uganda. 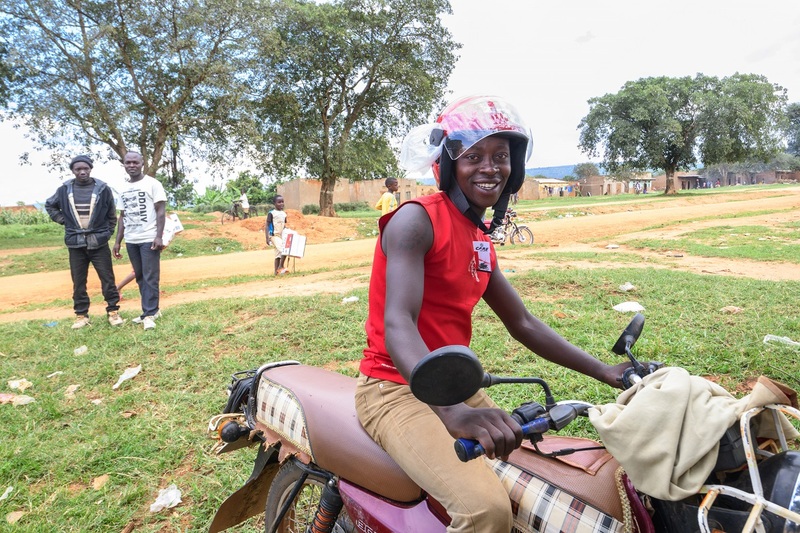 Safe Boda, a small organization that began in Uganda with ARC’s support, is a tight-knit group of motorcycle taxi — or boda—drivers who are working to make travel safer for both drivers and passengers. 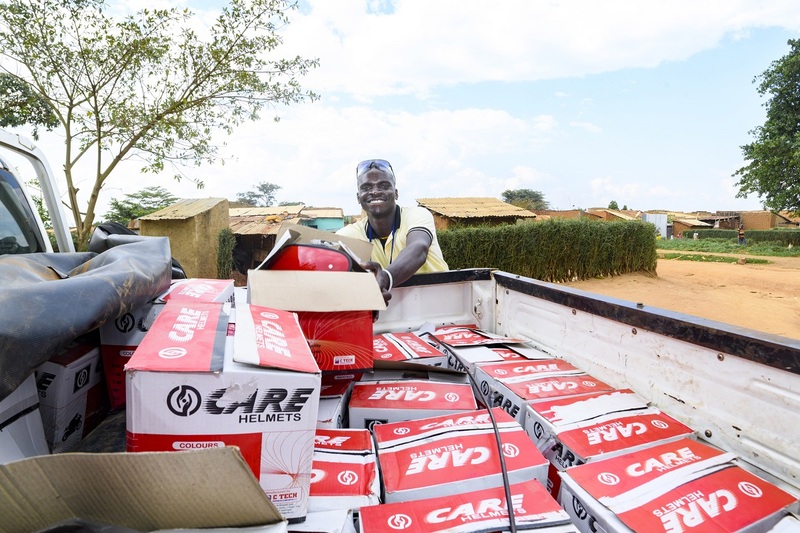 Not only do drivers receive training on how to be safer drivers on the roads, but they are also trained in gender-based violence prevention and how to report instances of violence to authorities in the settlement. While all the drivers wear helmets, not all of the drivers have helmets available for their passengers. To address this and to embrace their mission of safety, we decided to buy the group thirty helmets.